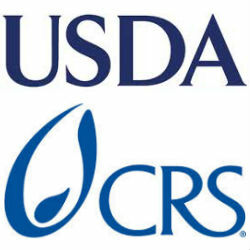 The United States Department of Agriculture (USDA) has granted $20 million to the Catholic Relief Services (CRS) to increase the production of Tanzania Soybean. The project, named Soya ni Pesa (“Soya is Money”), is being led by the CRS Project Director Amsalu Gebreselassie and is set to benefit 11,000 farmers from the Ruvuma Region by the time the project ends in 2016. Speaking at the launch event on December 4, 2013, Gebreselassie claimed that Tanzanian Soybean production possesses great potential which could be tapped into with the right investment. “Soybean crops have the potential to improve soil fertility,” as well as “contribute to income for Tanzanian smallholder farmers,” the project director added. Tanzania soybean production started in the 1990’s and has traditionally been produced at low levels but the Soya ni Pesa project aims to double production level by 2016.